Wool worked in multi-colors on an olive ground. 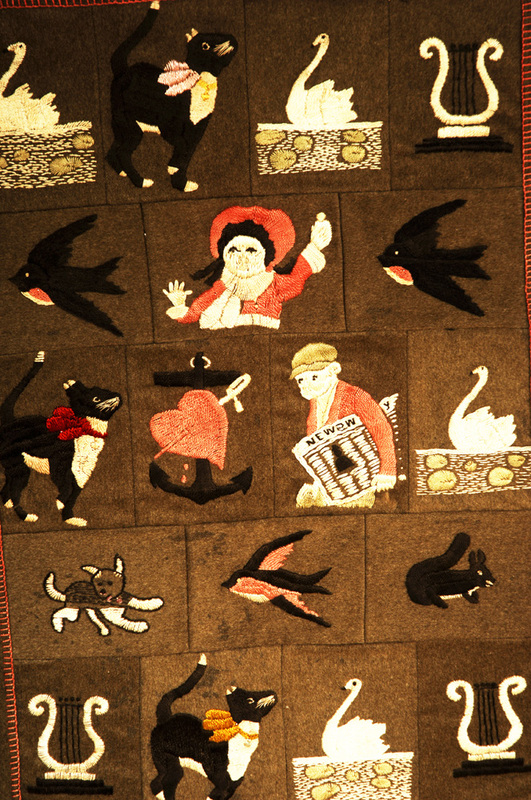 Folky motif including cats, dogs, swallows, squirrels, swans, lyres, AND a newsboy. Excellent original condition. Stretched and mounted for hanging. 27 1/2" long x 20" wide.